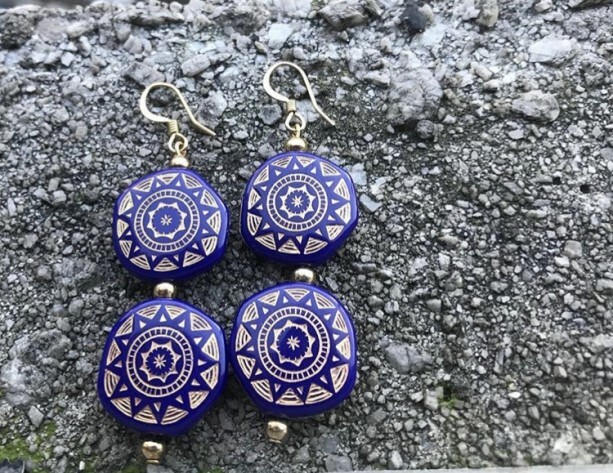 Blue and Gold Dangling Earrings. 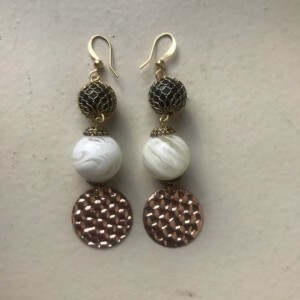 Blue Gold Enlaced Flat Round Beads Dangling Earrings. The intricate pattern reminds me not only of Morocco but Uzbekistan. Both places have such amazing culture and history. 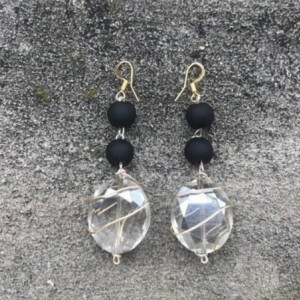 When I received these beads, I simply fell in love...hope you will too!